Jumaane is a brilliant trainer with a killer punch and an incredible dedication to his sport. 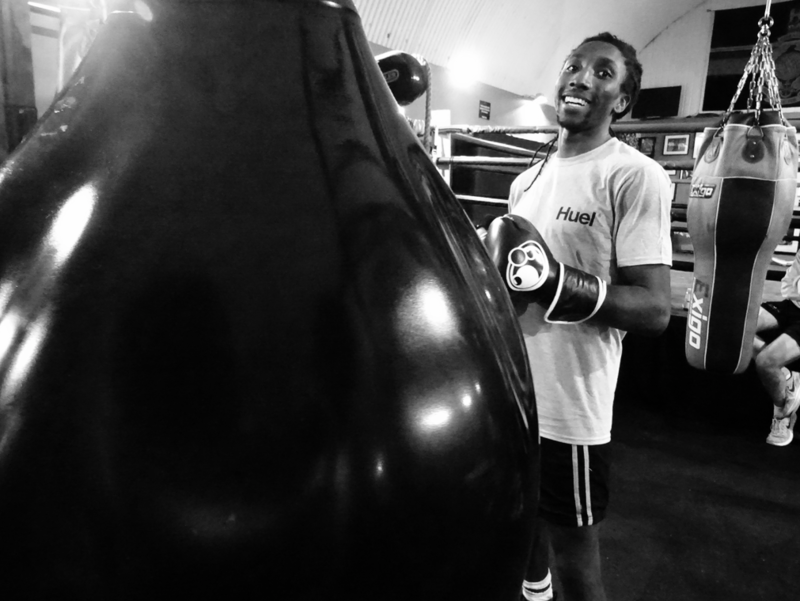 Formerly trained as a kickboxer (coming 2nd for GB and 3rd in Europe), Jumaane is also a professional boxer – currently holding the Southern Area Champion title in the UK. Being an athlete himself, his level of fitness is unrivalled and experience with training and dedication is extensive. Jumaane is never without a smile and will push you to reach those goals – whether it’s learning how to box or working on those abs. Strengths – Boxing for beginners, boxing technique & pad work, fat loss and conditioning.